Beer is one of the oldest drinks in the world. According to the existing literature, the origin of beer can be traced back to 9000 years ago, and it first appeared in ancient Egypt and Mesopotamia. In addition, the beer brewing process and related regulations have been recorded in the Hammurabi Code of Cuban Babylon in the 18th century BC. Some people have carried out archaeological work on ancient Egypt and found that the construction of the pyramid has a close relationship with beer. According to historical records, the beer consumption at that time was very large. Later, the daughter of the famous Egyptian astronomer Ptolemy proposed beer taxation, then use the beer tax to build the pyramid, thus the birth of the world’s first beer tax. If you say the most memorable historical moment in the history of beer, I think the following nine things cannot be ignored! 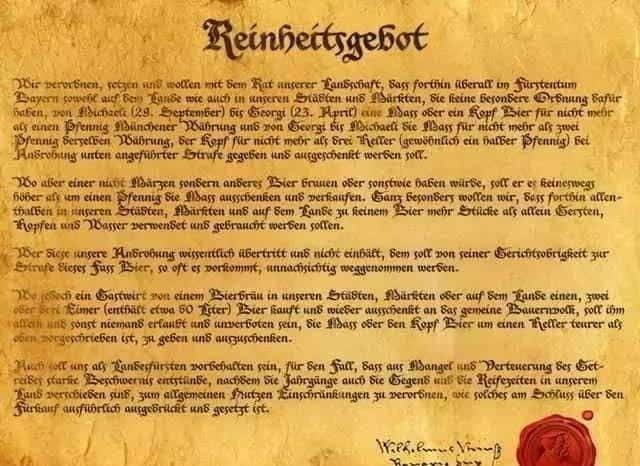 In 1516, the Grand Duke of William IV of DuchyofBavaria enacted the German Beer Pure Brewing Act, English name Reinheitsgebot; the original intention of the decree was to regulate the price of beer to avoid the price of malt in bakeries and wineries competition is carried out to prevent the brewery from doping impurities in the raw materials. In addition, according to the regulations at the time, only four raw materials such as malt, hops, water and yeast were allowed for beer brewing, which coincided with the concept of modern craft beer. 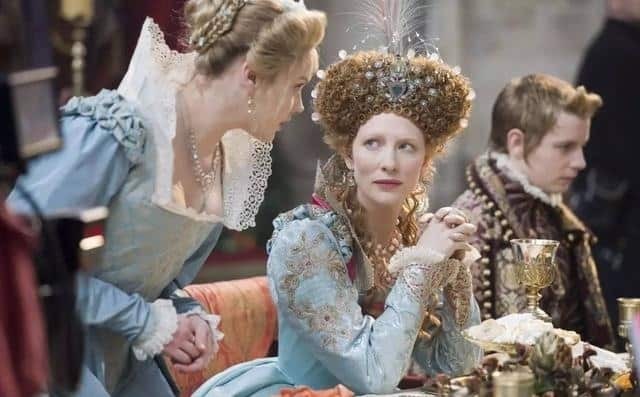 Elizabeth Tudor, the most famous queen in British history, turned British into a world power and created the “golden age” in British history. It is worth noting that the queen has not a husband in his life, but he loves ale. However, the earlier ale was nothing but a ale without hops. Hops were introduced to the UK by the Netherlands in 1524. What is favored by Elizabeth is the “Ale Beer” made after adding hops. 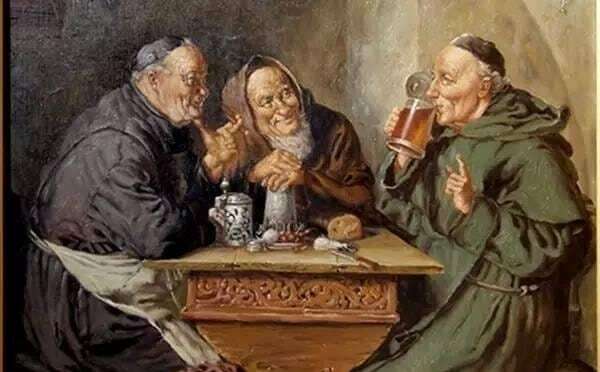 In 1664, the French LaTrappe Abbey relaxed the precepts of the monks’ practice, allowing beer to be used instead of food on fasting days, but the beer must be hand-made by the monks in the monastery and must not be purchased from outside. This rule was then spread throughout Europe, and many monasteries followed LaTrappe to start brewing beer. Not long after, the reputation of the abbey beer has been popular in Europe and the world. In 1839, residents of the Bavarian town of Pilsen (now in the Czech Republic) were unable to tolerate the status quo of the bleak, muddy and poor-smelling beer, so they raised crowdfunding to create a craft brewery belonging to the residents themselves. It is known as the “Citizen Craft Factory”. It is reported that the new winery adopts the advanced lower layer fermentation method from Bavaria, Germany, which greatly improves the clarity and flavor of the beer and prolongs the beer preservation period. The first barrel of Pilsner beer was born in 1842, and the Pilsner brewed by the lager beer fermentation method caused a sensation. With the advent of the railway and industrial era, this Pilsner and Pearson brewing method has been rapidly and widely spread throughout Central Europe. 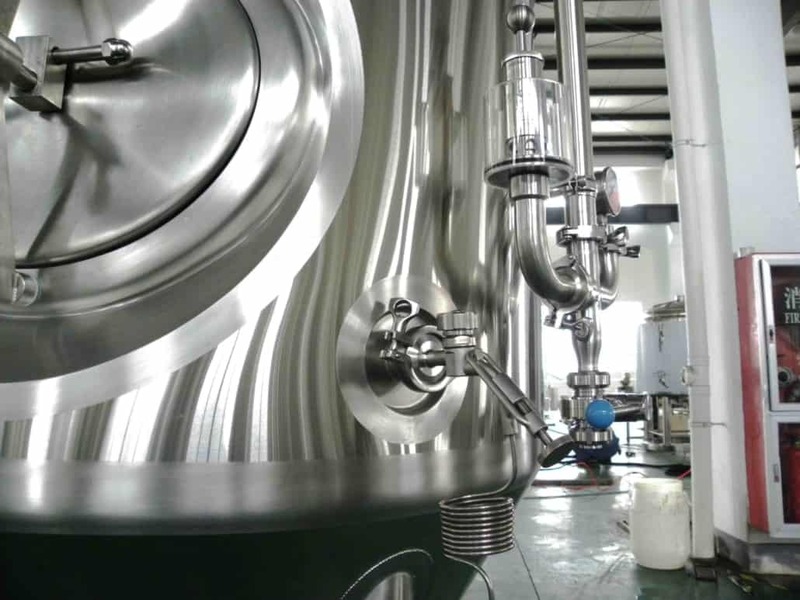 This process precisely meets the requirements of industrial brewing. This time, the “craft brewing movement” denied the traditional brewing method. With the changes of the times, people began to get tired of the same industrial Lager, and began to miss the traditional Ale, which has a variety of flavors and rich taste. So the so-called European craftsmanship pioneer raised the nostalgic banner. 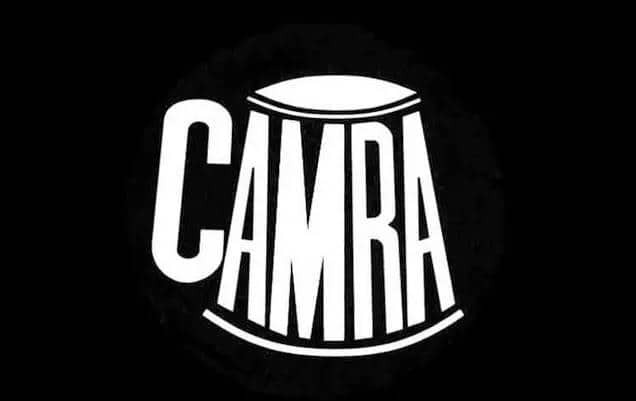 In 1971, CAMRA, the Campaign for Real Ale, was launched. They launched a campaign called RealAle and used it. Promote unpasteurized, traditional, stress-free beer. This is the beginning of the second brewing movement, which also means the full recovery of traditional beer. It took only 40 years for American hops to complete the historical transcendence of European hop status and form its own unique hop style, which can dominate the development of the world hops. In 1972, when the first American hop variety came out, the United States created its own unique hop style, especially when the Cascade was listed as the first American hop variety issued by the US Department of Agriculture. Close to the time of the craftsmanship launched by the CampaignforRealAle, the United States has also launched its own craft beer campaign. In 1975, AnchorBrewing Co., located in San Francisco, California, the founder of the company acquired a strong PaleAle formula after visiting Europe, but because of the taste of American malt and continental malt have significant differences, so the idea of brewing British beer cannot be achieved on the American continent. Because of this, Anjia Brewery has made unremitting efforts to create the first truly American craft beer, AnchorLibertyAle, which defines and shapes the American craft beer movement to some extent. 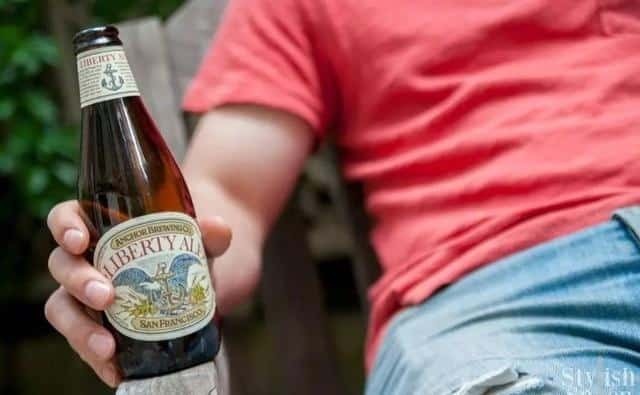 LibertyAle, made by AnchorBrewingCo in San Francisco, Calif., made the biggest contribution to the American craft beer industry by introducing the concept and technology of DryHops. This technology fully highlights the advantages of American hops. 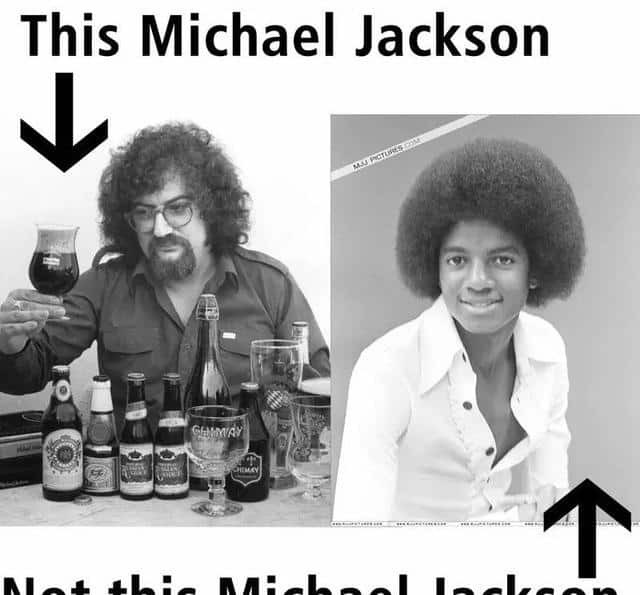 In 1977, the famous beer master Michael Jackson, don’t misunderstand! Not the king of pop music! In his first beer book, TheWorldGiudeToBeer, AnchorLibertyAle was mentioned. Michael Jackson called it the first bottle of modern beer in the United States. At the same time, this beer became the originator of American Indian Aimee (AmericanIPA). The history of beer is very long. 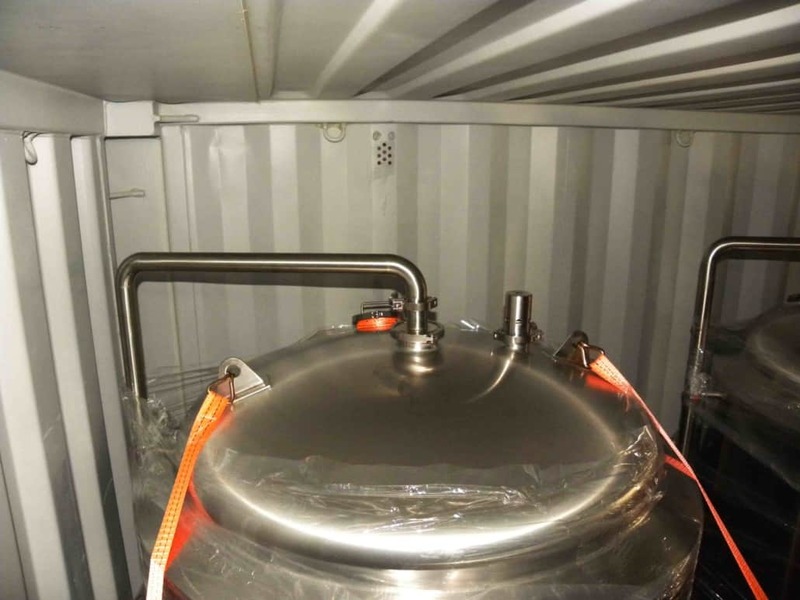 The development of beer technology also promotes the development of beer brewing equipment. 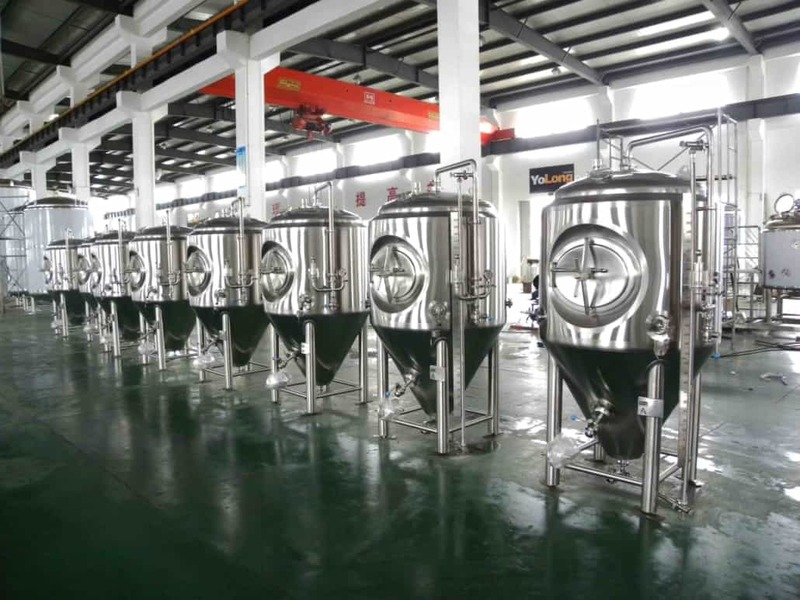 As the best beer equipment supplier, YoLong can provide you with the best beer brewing equipment. We finished delivery of eight 5hL Uni-Tanks today. In me I like these vessels very much. Would like to share some pictures of these vessels. 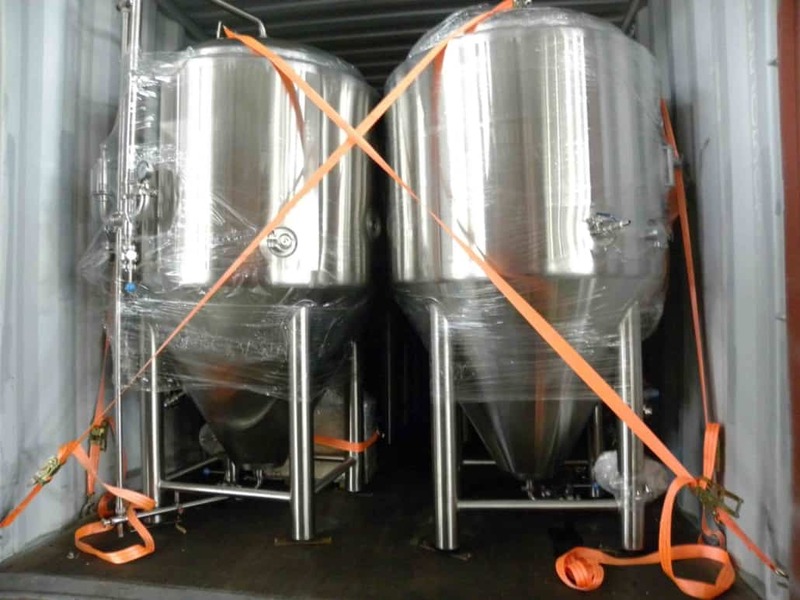 The client wanted to add eight 500L Uni-tanks to his brewery. 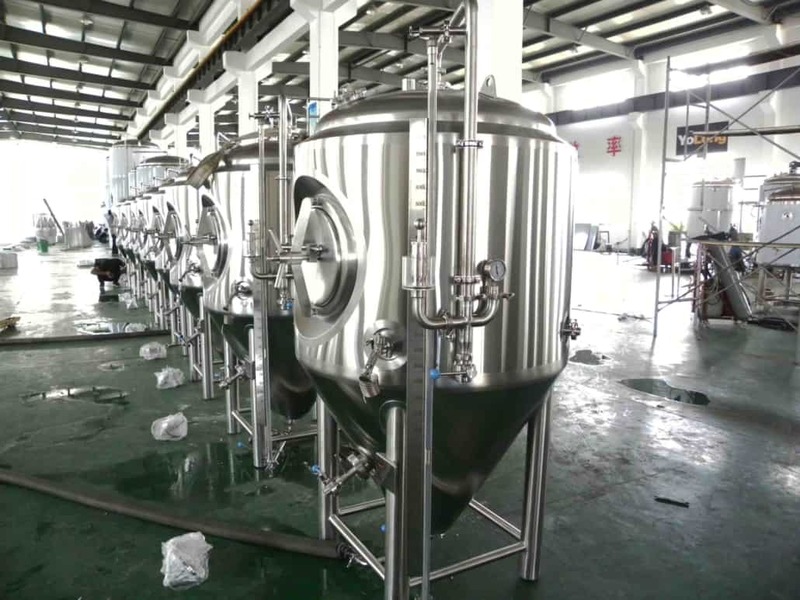 After production drawing finished, we found one picture from him and found that the fermenter we drawn was taller and slimmer than the fermenters shown on picture. After confirmation, we suggest to re-make drawing to let the new fermenters be same as height with original fermenters, as it will be look better if they stand together. The client is happy to hear that. The ruler aside of level gauge is very beautiful as well. And we installed spiral device on the sample valve to reduce beer foam when brewer cup beer on sample. It is good. Butterfly valves with Union connection make vessel more beautiful. YoLong engineering team is a brewing team as well. 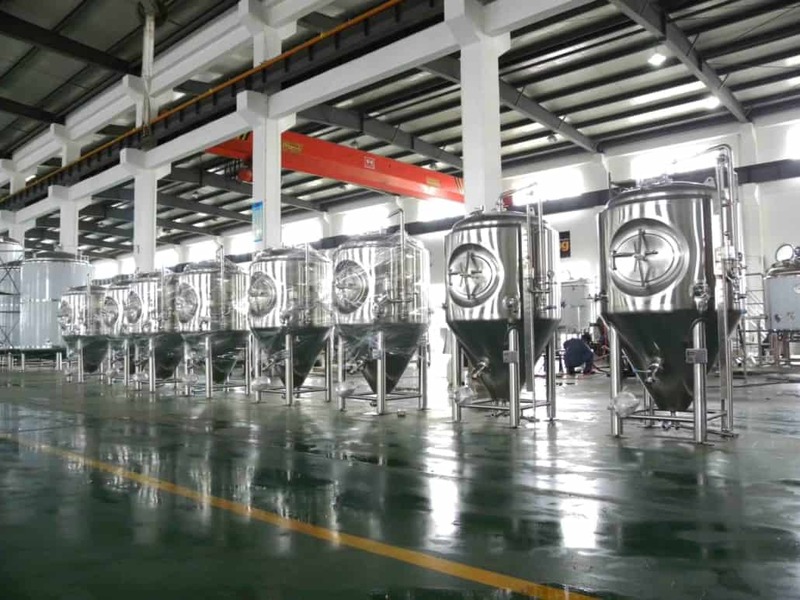 Every engineer in YoLong has experience of brewing. As we want to design projects be perfect for operation and layout. 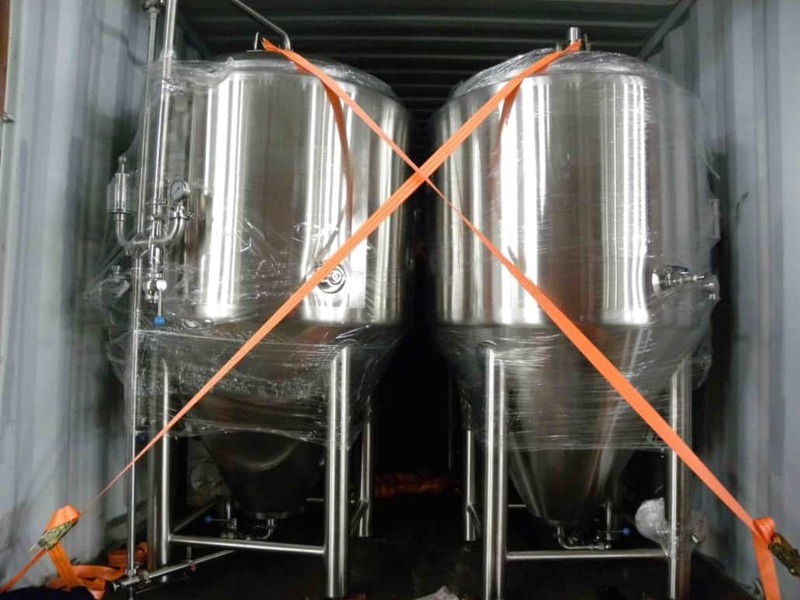 Please contact YoLong if your brewery need to expansion or set up.